Below we’ve summarized some of the main items that should be taken into consideration when buying an optical comparator. 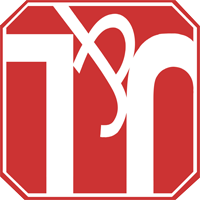 Please feel free to contact us with any questions regarding sales, applications, or competitive products. Step 1 – Is a horizontal or vertical light path model best for your application? Step 2 – What screen size and stage size best suits your application? How large of a viewing screen should you get? How big is big enough? Measurement by comparison (with overlay charts or screen templates) can use the entire viewing screen. A larger screen means you can see more of the part at any one time, perhaps measuring many features at once with the same chart. Measurement by motion (with visual alignment or edge detection) uses the movement of the worktable assembly and screen rotation to measure the part. How large of a part you can measure is based solely on the overall travel of the worktable. Step 3 – What lens/lenses you will require? Step 4 – Do I need a digital readout? Step 5 – What options or tooling will be required for my Optical Comparator? Repeatability and accuracy will suffer if the work piece is not properly and securely held. Work-holding is just as important when inspecting a component as when machining the component. Careful consideration should be given to tooling and to the surface on which you place your comparator. J&L offers a very wide range of standard work-holding solutions and our applications engineers will be happy to work with you to develop special work-holding as required. See our separate brochure for options. We have arranged this on-line selection guide to help you through this decision making process. If you have any questions, feel free to e-mail our staff for Back to Top assistance. Simple reversed optic images that are upside down and reversed. lenses (the distance between the face of the lens and the part being inspected) decreases as the magnification is increased. Surface reflection options used on simple reversed systems will be oblique off-axis fiber optics or will incorporate a half reflecting mirror adapter mounted in front of or on the magnification lens. 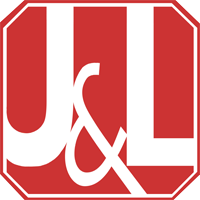 It must be noted that J&L has developed a series of magnification lenses that can be used in a 14” simple reversed optical system and that produce a fully corrected image. This series of lenses is the only exception to the reversed image description above. 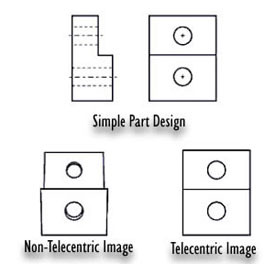 All of J&L's CLASSIC and TOPIC models employ simple reversed optical systems. Images on machines with Erect optics are corrected top to bottom but reversed side to side. An adaptation of simple reversed optical systems is the Erect optical system. This type of instrument is basically a simple reversed system with the addition of another mirror in the vertical optical plane. The second mirror flips the image top to bottom so that it becomes corrected in the vertical plane. This instrument has all of the advantages and disadvantages of the simple reversed system except that the instrument itself is not as deep as the reversed machine and the screen is vertical for a better viewing angle. 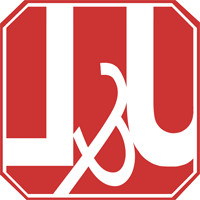 All of J&L's ICON models employ erect optical systems. Fully Corrected optical comparators use an additional optical system, called a relay lens, to form an intermediate image which is in turn magnified by the projection lens. The final image is fully corrected, or in other words, erect and unreversed. An important benefit afforded by fully corrected optics is a constant front working clearance, regardless of magnification. This allows the inspection of large heavy parts and those with large diameters. Front working distances are as follows 14” = 6.7”, 20” = 7.4”, 30” = 13”, 50” = 24” . Another important benefit of the fully corrected optical system is that the surface reflection system travels coaxially down the projection path. The closer an object is to you, the larger it appears. This is one of the fundamental principles of optics. The same is true for any optical system, whether your eye, a camera, or an optical comparator. But this can cause an error when measuring a three dimensional part, or if the image is simply a little bit out of focus. Why? Because adjusting the focus on a non-telecentric, simple optics system changes the distance between the part and the optics, and that changes the magnification. The effect is not that large (typically several thousandths of an inch measured at the part), but in today’s world of ever shrinking tolerances, you need to be as precise as you can. Magnification stays the same regardless of different operators focusing the Optical Comparators in slightly different places.